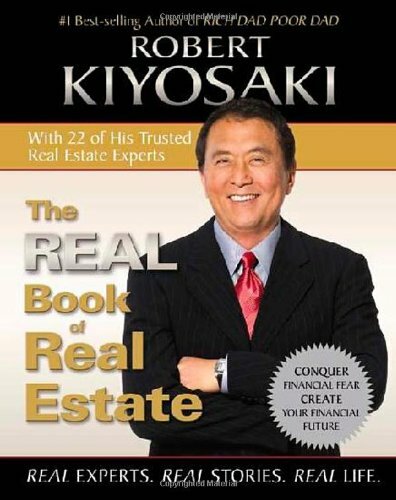 Robert Kiyosaki draws upon the counsel of 21 of his closest big business pals to prepare his audience to properly assess property values, locate foreclosures, lower taxes and even find hidden investment opportunities. The book couldn’t come at a more appropriate time, given the rising number of home foreclosures, and luckily seasoned narrators Jim Bond, Sandra Burr and Bruce Reizen make listening an enjoyable and personable experience. Many such guides fail to reach listeners because of their less than inspired narrations; this talented cast not only injects life into their respective readings, but also manage to get the point across without sounding the least bit robotic. Get your copy today – The Real Book of Real Estate: Real Experts. Real Stories. Real Life.